Sautéed Pork Chops with Pears and Blue Cheese. Creamy Parmesan Polenta. Roasted Brussels Sprouts. 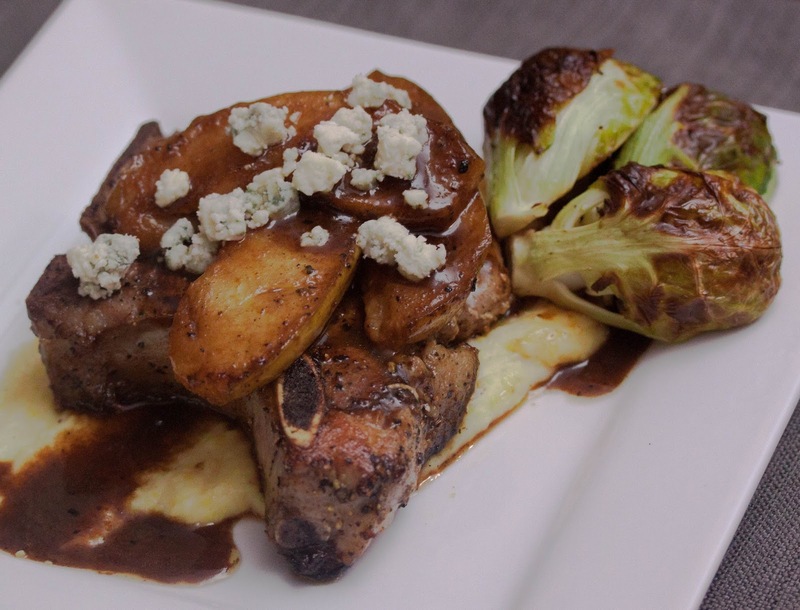 Sautéed Pork Chops with Pears and Blue Cheese: 1" BL Pork Rib Chop. SnP. VO. Pear. Sugar. LS Chicken Broth. US Butter. Balsamic Vinegar. Blue Cheese. Creamy Parmesan Polenta: Water. SnP. Baking Soda. Polenta. US Butter Parmesan. Roasted Brussels Sprouts: Brussels Sprouts. EVOO. Water. SnP. Old-Fashioned Pot Roast with Winter Vegetables. 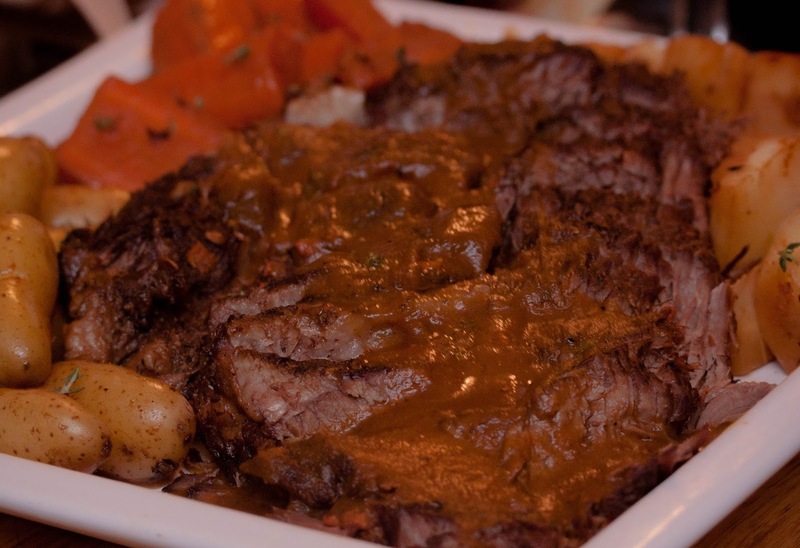 Old-Fashioned Pot Roast with Winter Vegetables: BL Chuck-Eye Roast. S and P. US Butter. Onion. Carrot. Parsnip. Celery. Garlic. Beef Broth. Merlot. Tomato Paste. Bay Leaf. Thyme. Balsamic Vinegar.